In a bold move to consolidate its academic strength and competitiveness, Habib University established a high-level Global Academic Advisory Board (GAAB). 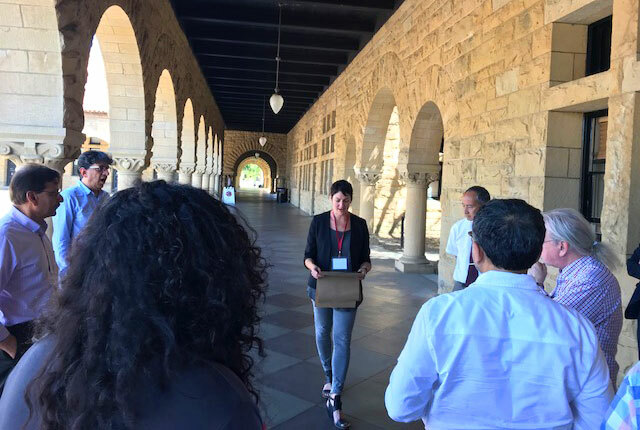 The first meeting took place from 29th to 30th May at Stanford University in the USA. Bringing together noted members of the global academic community, experts on and from Pakistan, as well as leading thinkers within the liberal arts and sciences community, the GAAB comprises members from Stanford University, Harvard University, Pitzer College, Pomona College, and Harvey Mudd College – many of whom have individually visited Habib University or are partner institutions. While meetings will be held once a year with a different emphasis, this first meeting focused on faculty development and strategic planning. As Mr. Wasif A. Rizvi, President of Habib University, presented the institutional conceptualisation in the context of Pakistan’s unique educational setting as well as highlights of Habib University’s current academic programs, the members of the GAAB promptly engaged in conversation and commended the innovative academic model. Ideas were discussed ranging from understanding how teaching and research work connect and support each other, the need to envision an ideal graduate profile, to topics of faculty promotion and external reviews. 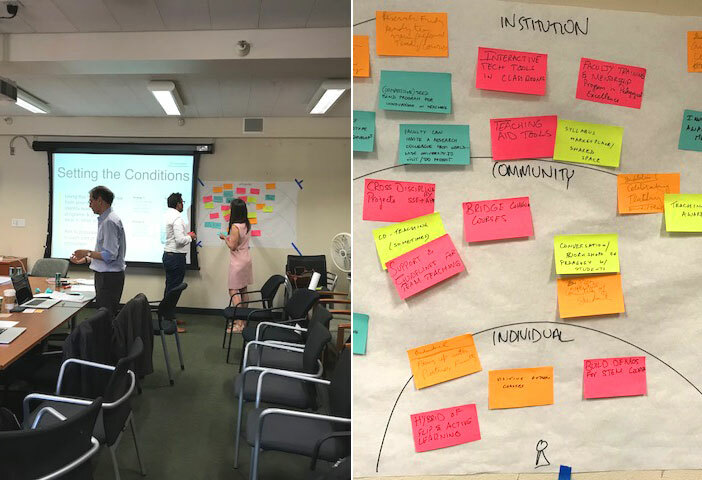 Executive Director of Stanford’s d.school, Ms. Sarah Stein Greenberg, led several design thinking sessions to engage every GAAB member’s perspectives on supporting faculty development at individual, community, and institutional levels. For the individual professor’s level, many ideas were generated with regards to use of technology in teaching and seed funding to incentivise pedagogic innovations. At the community level, peer observation for mentorship and co-teaching were mentioned as tools to continue to utilise, and at the institutional level, it was decided to work increasingly with partner institutions as well as gain student and alumni feedback at regular intervals. An ‘idea generation exercise’ was conducted to brainstorm on rethinking and designing ways to improve recruitment, promotion, and advance institutional linkages. The GAAB’s promotion committee is to meet twice a year to continue to foster connections with local and global expertise. Constructive feedback was also received on strategic planning, with encouragement to form a long-term vision that strives to be a leading institution in the ‘global south’. Furthermore, benefiting from the new alumni community that will continue to grow every year, alumni feedback provides an important opportunity to deeply think about the impact of Habib University. Habib University is grateful for the exceptional chances to reflect and learn in a community of peers with its global academic partnerships and strategic leaders.